Escape Fan Park Escape 2 is brand new point and click escape game which was developed by Ainars and sponsored by EscapeFan. 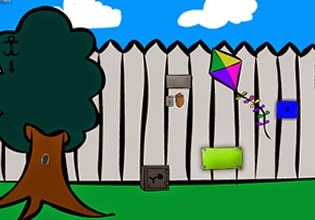 Explore cartoon part, search for acorns,buttons, keys, code hints and unlock many many safes to obtain more items and salad exit key from park door. Good luck and have fun!